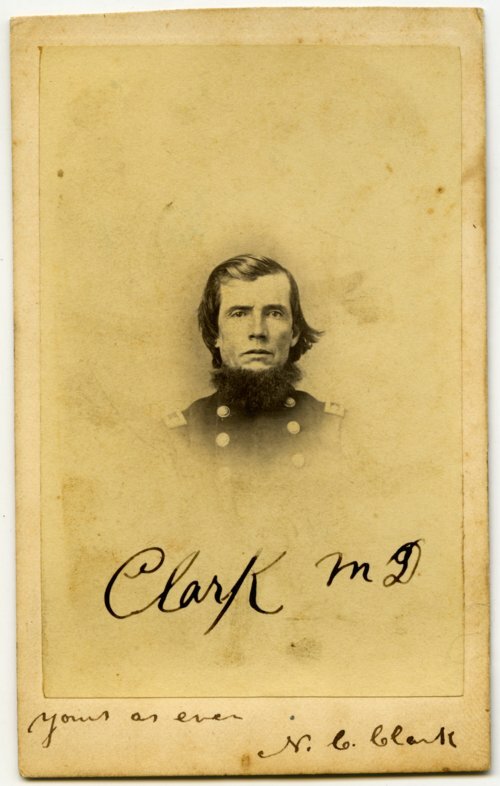 This is a carte de visite of Dr. Nathaniel C. Clark, a physician from Wathena, Kansas, who served in the headquarters of the 8th Kansas Volunteer Infantry. The carte de visite was originally in an album belonging to Lt. Charles H. Slawson, who served in Company I of the 8th Kansas Volunteer Infantry. The photographer R. Stevenson & Co. was located at 48 Delaware Street in Leavenworth, Kansas. Creator: Stevenson, R. & Co.